Your home is important to you so it is vital you protect your property by giving your roof the care and attention it needs. If you live in Surrey, Roof Coating Specialists can give your roof essential protection so it will survive the elements and stay looking smart. When people carry out maintenance on their properties, they often forget their roof needs looking after too. But neglecting your roof can lead to unattractive fungi and blocked gutters, as well as shortening the life of your tiles. 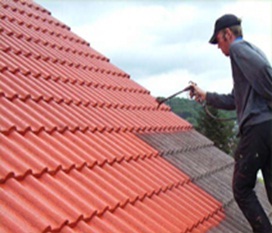 Roof Coating Specialists carry out roof cleaning and roof coating services in the Surrey area as well as elsewhere in the UK. As our name suggests, we are experts in both cleaning and coating your roof, extending its life and ensuring any rain is drained away effectively. Roof Coating Specialists is a registered installer of SmartSeal – premium quality roof sealing and coating products which are manufactured to BS5750 / ISO 9001 standards and rigorously tested to ensure maximum performance. Your roof braves the British weather day in and day out, surviving everything from rain and hot temperatures to ice and snow. 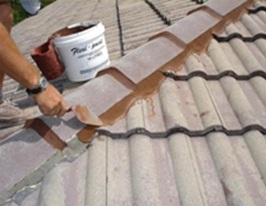 As your roof is constantly exposed to the elements, its surface eventually starts to get damaged and over time it starts to lose its ability to resist water. As your tiles become less waterproof, they will become heavier and put additional pressure on the structure of your home. Your roof will also become a breeding ground for moss, lichen and algae, which not only looks unattractive but can lead to your gutters and drains becoming blocked. 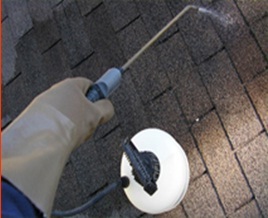 We will come to your home in Surrey and clean your roof before adding a spray designed to keep fungi away. 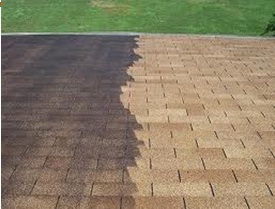 We will then add two layers of waterproof roof coating which will seal your roof and offer years of protection. Find out more about how we can help you by getting in touch today.